The CCDS Exam Prep Class prepares you to take the CCDS exam and advance in your professional career. By equipping you with test-taking skills and CDI knowledge, the class will allow you to tackle the exam with confidence. Plus, our instructors cover real-world study strategies for adult learners. You’ll also receive access to the CCDS Exam Study Guide online practice exam, allowing you to practice in a realistic scenario. The CCDS Exam Prep Class is an intense two-day course covering 10 modules that will prepare candidates to take the CCDS certification exam, plus a short introduction. Attendees will also receive access to the CCDS Exam Study Guide practice exam. ACDIS members save $150 off the registration fee. 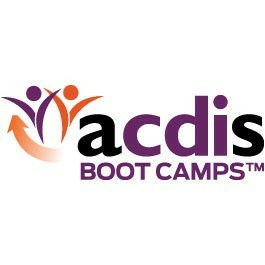 Call 800-650-6787 to receive your special discount rate or sign up to become an ACDIS member today! For more information about the CCDS Exam Prep Class, contact our sales team at 615-724-7200 or email H3-NAMS@SimplifyCompliance.com. This introduction looks at the outline of the exam and the types of questions asked. It discusses recall, application, and analysis as well as the domains and objectives covered in the exam. This module discusses the experience of sitting for the exam and includes test-taking tips and strategies. What is the focus of the CCDS Exam Prep Class? The focus of the CCDS Exam Prep Class is on preparing students who wish to sit for the CCDS examination. No. This class will assist you in your exam preparation. During the comprehensive review conducted in this class, you are likely to identify areas in which you need further study due to your experience level or the type of organization in which you work. You will need to bring a copy of DRG Expert to class. You will also need this manual if you plan on taking the CCDS Exam. This class highlights the core skills of a practicing CDI professional, including reimbursement, coding practices, anatomy, physiology, pharmacology, CMS quality measures, CDI metrics and professionalism. This class does not offer continuing education credits. Two days. Typically, class runs from 8:00 a.m. until at least 5:00 p.m. on both days. Call 800-650-6787 or email customerservice@hcpro.com for more information. Is this course available as on-site training? If you have a group to train, holding this class at your organization is easy and cost-effective. Eliminate travel costs and enjoy a group discount while ensuring your staff is up-to-date on the latest regulations and guidelines. For more information, call 877-233-8734 or click on “Train Groups On-Site” above. Contact our sales team at 615-724-7200 or email H3-NAMS@SimplifyCompliance.com.